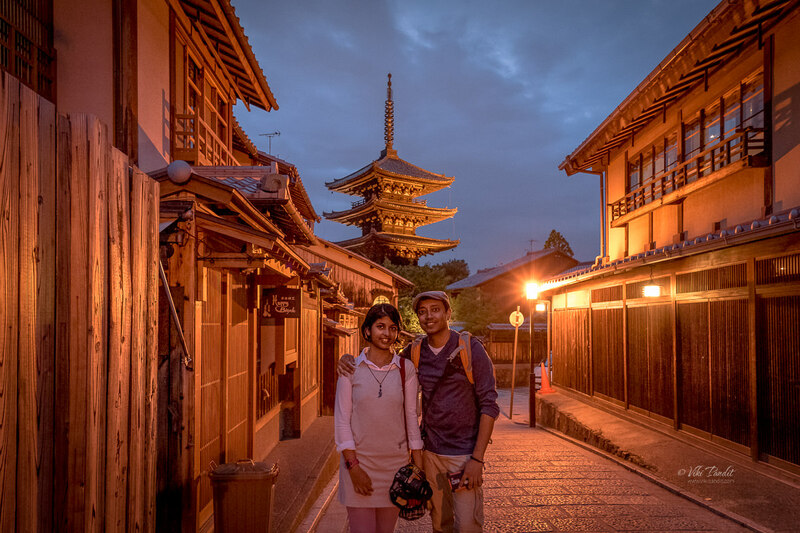 Today we take a walk down to Yasaka-dori in Kyoto to the stunning Yasaka-no-to Pagoda. Built in 592, the Pagoda is the only standing structure of the Hokan-ji Temple. The rest of the structures have either been destroyed by fires or earthquakes over the years. Today we take a walk down to Yasaka-dori in Kyoto to the stunning Yasaka-no-tou Pagoda. Built in 592, the Pagoda is the only standing structure of the Hokan-ji Temple. The rest of the structures have either been destroyed by fires or earthquakes over the years. Kyoto has many attractions for the wide-eyed tourists. 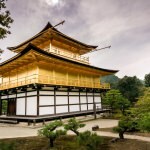 The Kinkaku-ji Temple and Kiyomizu-dera Temple being the most favorites, but if you are photographically inclined, the Yasaka Pagoda is not to be missed. With its old city charm and cobblestone paths, it takes your breadth away, specially during the evenings when the pathways are illuminated in a golden glow. We were coming in from Nara. Its around 40 minute ride on the JR local to Kyoto. 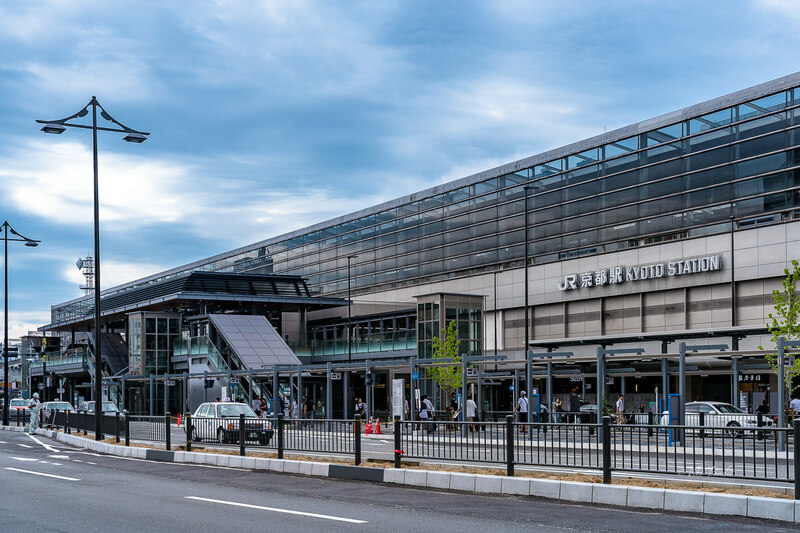 If you are coming from outside to tour Kyoto or even staying there, it is best to start from the JR Kyoto Station. You will be able to obtain the current Bus time-tables. You can also buy a full-day bus ticket from one of the vending machines that allows you unlimited travel on the public bus for a day. If you planning to go to more than two sight-seeing points, its best to obtain the full day pass. The bus dropped us off at the Kiyomizu-michi bus stop. Since we were only going to the Yasaka Pagoda, we didn’t go for the full day pass. The ride cost us 230 Yen per head. As soon as you turn your back towards the bus, you will feel like transported to a timeless past. This is the Higashiyama District and the Yasaka pagoda lies in the heart of this district. 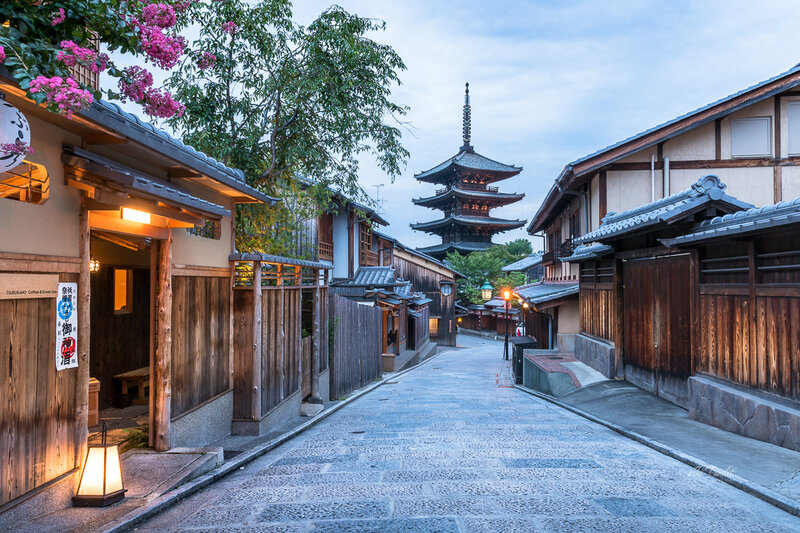 The Higashiyama District (東山) along the lower slopes of Kyoto’s eastern mountains is one of the city’s best preserved historic districts. From ancient times, the mist shrouded slopes of Higashiyama and the hills bordering Kyoto on the east, have inspired generations of poets and artists. These 36 peaks are home to many temples, restaurants, inns and tea shops – all picturesquely located along narrow winding streets. The shops that line these streets are always crowded, but it is not like the crowds in India. It’s a much relaxed and silent gathering. Yasaka Dori (八坂通り) is a lovely, quiet path through the back streets leading to Yasaka Pagoda. It is an amazing place to walk around and explore the traditional old houses. Rickshaw drivers can be seen ferrying the wide-eyed tourists along this path. 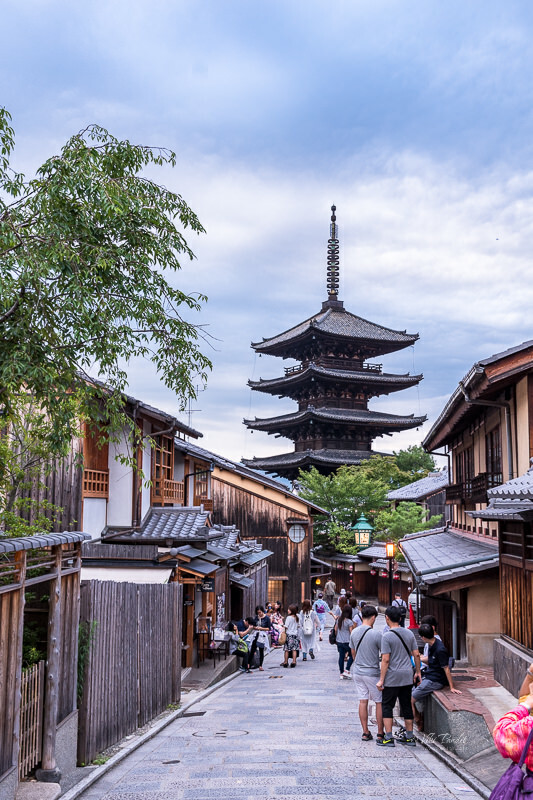 The street runs between Ninen-zaka and Sannen-zaka slopes, and ends at the most iconic photo spot with the Yasaka pagoda looming over the cobbled path. 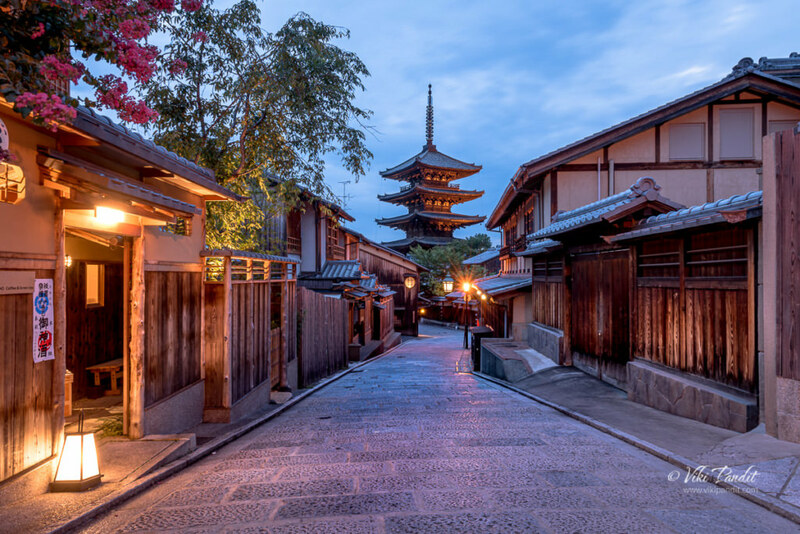 The walk presents lovely views of the Yasaka-no-To tiered pagoda above traditional gabled roofs. It’s old Kyoto and its beautiful. 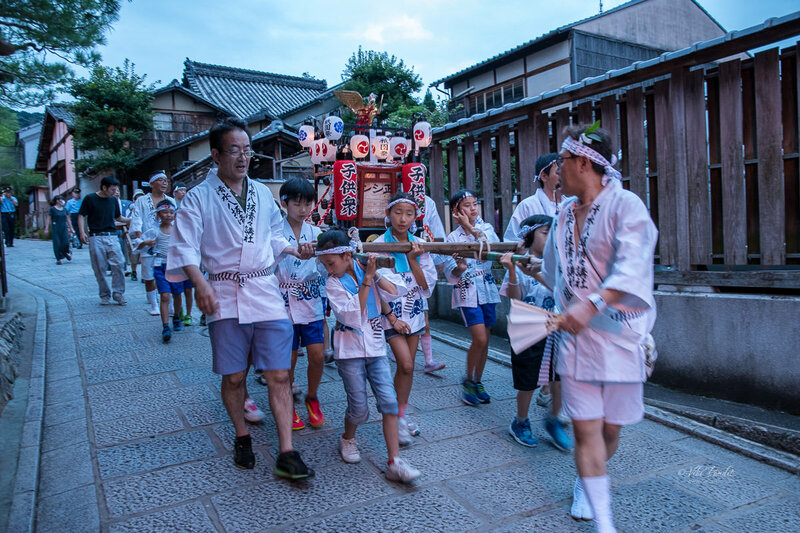 July is also the month of festivals in Japan. As we waited for the Sun to set over the lovely pagoda, troops of children in white attire rode down the cobbled street in makeshift carts. With them follwed a horde of tourists flashing away their cameras. 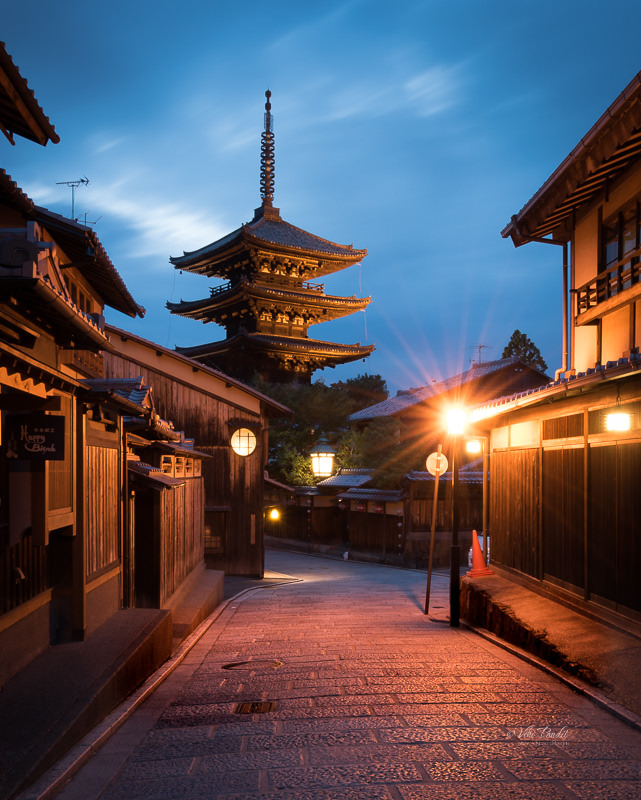 Once the huddle moved away from the Yasaka pagoda, the streets were empty again and I was able to capture the most iconic landmark of Kyoto in a beautiful blue light. Yasaka-no-to Pagoda (八坂の塔), also known as Hokanji Temple (法観寺) was built in 592, which is the oldest pagoda in Kyoto. Visitors can enter the pagoda up to the 2nd floor. The Yasaka pagoda is said to to contain some of Buddha’s ashes beneath its massive central pillar. There are various theories about the origins of the Hokanji Temple, but it is generally believed to have been founded in the Asuka period (593–710) as the guardian temple of the Yasaka clan. The 46 meter tall five-tier pagoda is a reconstruction built in 1440 by Ashikaga Yoshinori and is a nationally designated Important Cultural Property. Visitors can go inside the pagoda to view a dais on which are placed figures of Mahavairocana, Akshobhya, Ratnasambhava, Amitabha, and amoghasiddhi—the Five Perfected Ones; as well as the interior structure of the pagoda and the great central pillar supporting it. As it got darker, the yellow lamps from the street took over. Did you know that to make this view perfect, all the electric and telephone lines were moved underground very recently. Around the pagoda, there are gently sloping hill east towards the mountains. The cobbled street here is known as the Sannen-zaka, the Three Year Slope. To the North is the Ninen-zaka, or Two Year Slope. Both streets were paved with stones in about 808. It was dark, I took one last shot of us and then we made our way back to the bus stop. 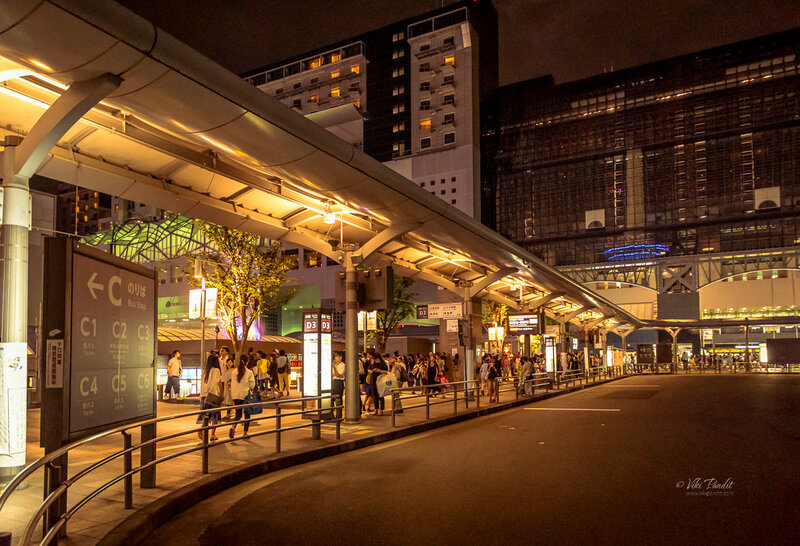 After a small wait, we took the bus back to Kyoto station. Note: The bus back from here is always full and the less weight you carry, the better it is for you. 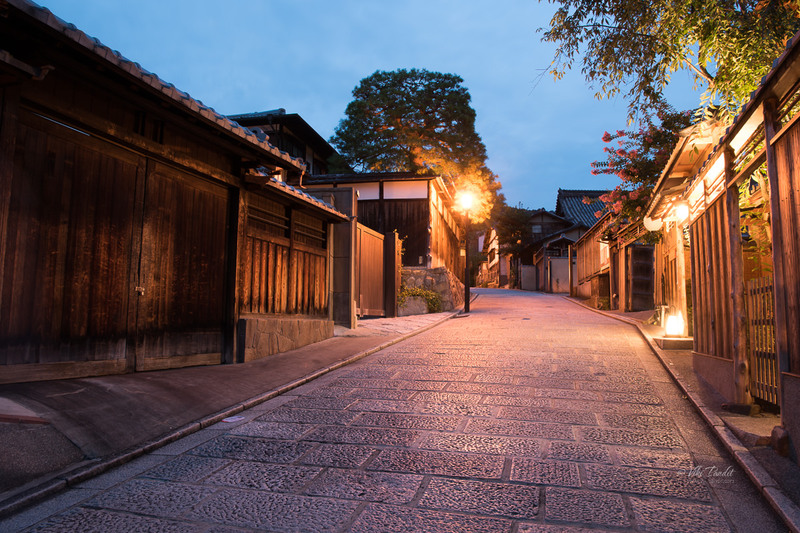 Over centuries millions of pilgrims have passed along these streets, stopping to buy a charm, sip a cup of tea or purchase a item of porcelain or Kyoyaki. 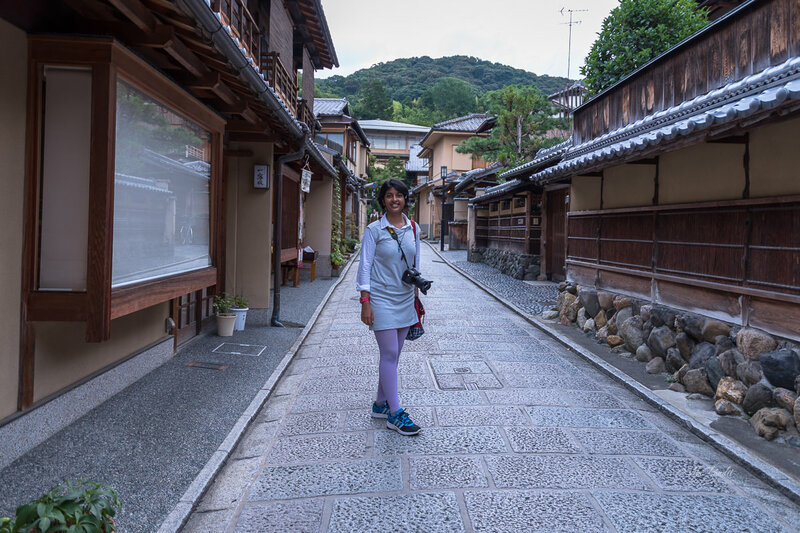 It is a great place to experience traditional old Kyoto, where the narrow lanes, wooden buildings and traditional merchant shops invoke a feeling of the old capital city. Thanks for reading. Please leave me a comment if you liked the post or follow my story as I visit the perfectly manicured gardens of Adachi.